From the acclaimed author of A Conflict of Interest (one of Suspense Magazine’s Best Books of 2011) comes “a tightly plotted, fast paced legal thriller...A worthy courtroom yarn that fans of John Grisham and Scott Turow will enjoy” (Kirkus Reviews). Aaron Littman is the premier lawyer of his generation and the chairman of Cromwell Altman, the most powerful law firm in New York City, when a high-profile new client threatens all that he’s achieved—and more. Nicolai Garkov is currently the most reviled figure in America, accused of laundering funds for the Russian Mafia and financing a terrorist bombing in Red Square that killed twenty-six people, including three American students. Garkov is completely unrepentant, admitting his guilt to Aaron, but with a plan for exoneration that includes blackmailing the presiding judge, the Honorable Faith Nichols. 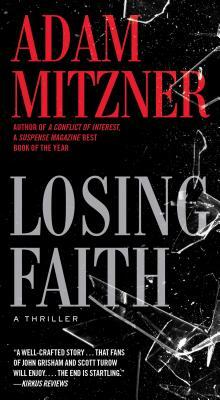 If the judge won’t do his bidding, Garkov promises to go public with irrefutable evidence of an affair between Aaron and Faith—the consequences of which would not only destroy their reputations but quite possibly end their careers.